WEST LAFAYETTE, Ind. 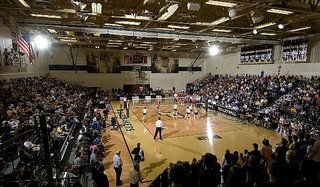 - Purdue University will dedicate the new volleyball court in the recently renovated Intercollegiate Athletic Facility at 6:15 p.m. Saturday (Oct. 21) prior to the Boilermaker volleyball team's 8 p.m. match with Northwestern University. 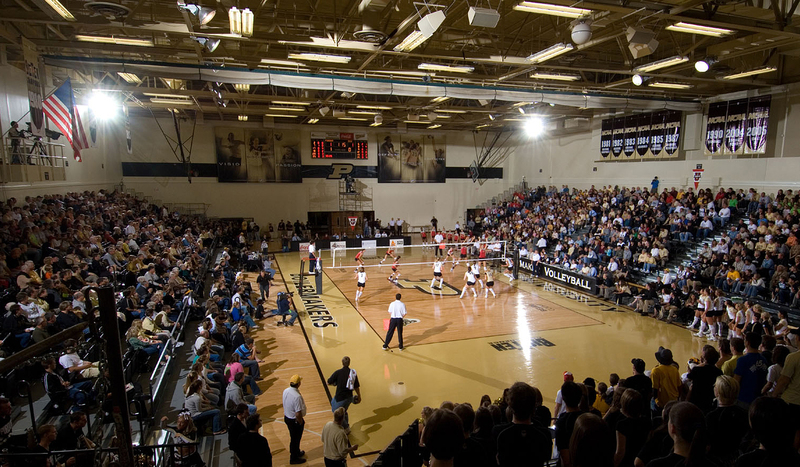 Belin Court, the new playing floor designed specifically for volleyball, replaced the original court that had been in place since 1982. After $750,000 in renovations, the athletic facility features a new shock-absorbing floor; new bleachers, including a number of seat-back chairs, increasing the seating capacity 600 seats to 2,288; new scoreboards; banners; and other aesthetic changes. WEST LAFAYETTE, Ind. — Martin C. Jischke, whose visionary strategic plan and dynamic leadership took Purdue to new levels of excellence, will step down as the university's president on June 30, 2007. Jischke announced his plans today (Friday, Aug. 4), stating that he believes the time will be right for both him and Purdue to move in new directions with the scheduled completion next June of both the strategic plan and the largest fund-raising campaign in Purdue history. "My time at Purdue has been immensely satisfying for me, and I believe we have made some significant strides for both the university and the state of Indiana," Jischke said. "Completing the strategic plan goals and finishing the campaign will be my priorities in the year ahead, and I will devote all my energy to continuing the momentum we have established. "After that, I would like to give myself and my family a chance to do some of the things we all enjoy. I also believe a great university like Purdue needs a change in leadership after a certain point. This is the right moment for Purdue and for me. We will have accomplished the goals we set. I am fortunate enough to be in excellent health, and I think Purdue is positioned to attract some exceptional talent to this job. Thanks for the invitation from Jeff Fisher of Notre Dame for such a great game! Although we didn't beat the Irish this time, I think we all had fun - and not to mention we've raised HKD270 for the Friends of Khao Lak and Saigon Children's Charity! Curtis Painter goes 23-for-46 for 398 yards.